I’m preparing to attend a California Compassionate Care Coalition palliative care conference #cccc17 in a week. I’m reminded of the power of community in advancing good health practices. I have two stories. The first is about the ongoing public health collaboration since 1993 in LaCrosse, WI to meet and sustain very high rates of advanced care planning and following documented preferences through end of life. A group of people organized a region-wide initiative to elicit, understand, document, and honor a patient’s preferences about future medical care. As a result end of life preferences are a regular part of community conversation, documents became easier to understand and use, some electronic medical records facilitated access to choices, and following the choices became standard practice. In 2010 90% has a plan, 99% were available in the medical record, and 99.5% of the time treatment was consistent with preferences. (See the Journal of American Geriatrics Society). Amazing! The second story is about a fitness ministry in Winter Park, FL. Four churches from four different denominations: First United Methodist, Macedonia Missionary Baptist, St. Margaret Mary Catholic and Winter Park Presbyterian. The churches are within a 10-mile radius of each other and serve about 17,000 members. Each church has an established health ministry and parish nurse program. They are a working example of how churches can join together to strengthen a community through fitness. Much of my work involves patients, caregivers, clinicians, and technology. I focus a lot on relationships and communication. I often forget the power of groups people, neighborhoods, towns, regions working together. Community Rocks! 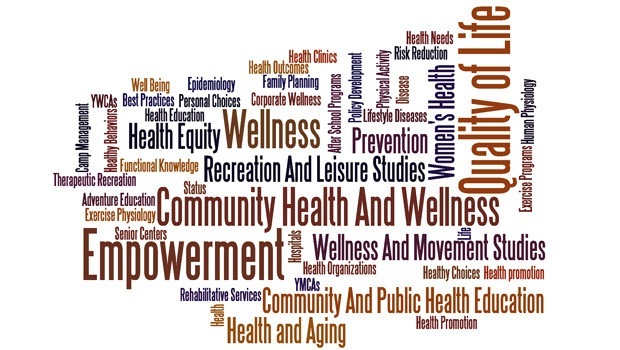 Do you know of other community-based health initiatives? Send me a link. What works, what doesn’t?